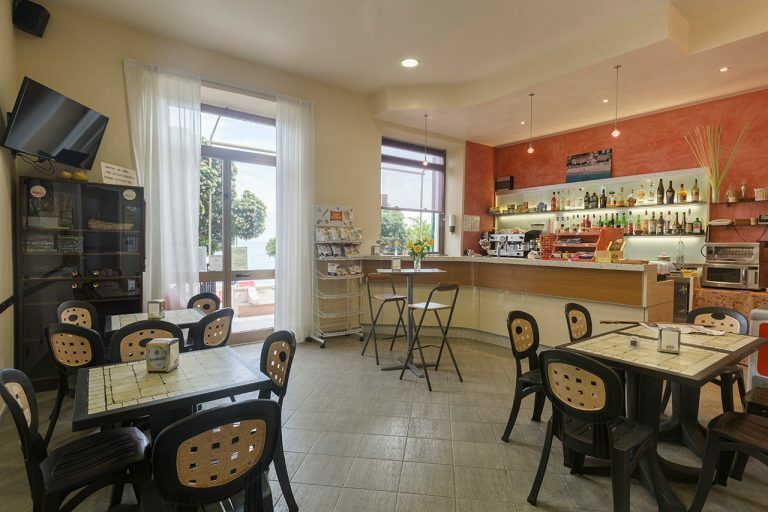 Your “waterfront holiday” gives the idea of the privileged position this hotel enjoys, just steps from the water’s edge on the sea of Liguria with restaurant, sea view and private beach. 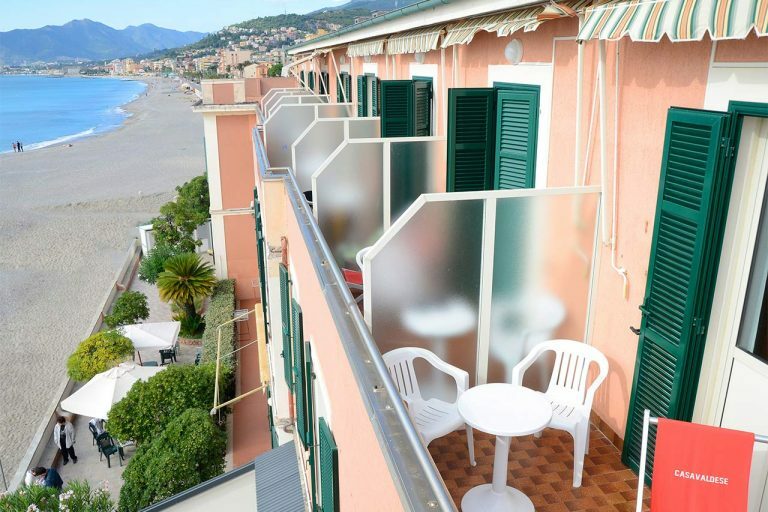 Hotel Casa Valdese Pietra Ligure offers you the pleasure of a seaside holiday on the Italian Riviera west of Genoa, where the well-trained and cordial staff will make you feel at home. 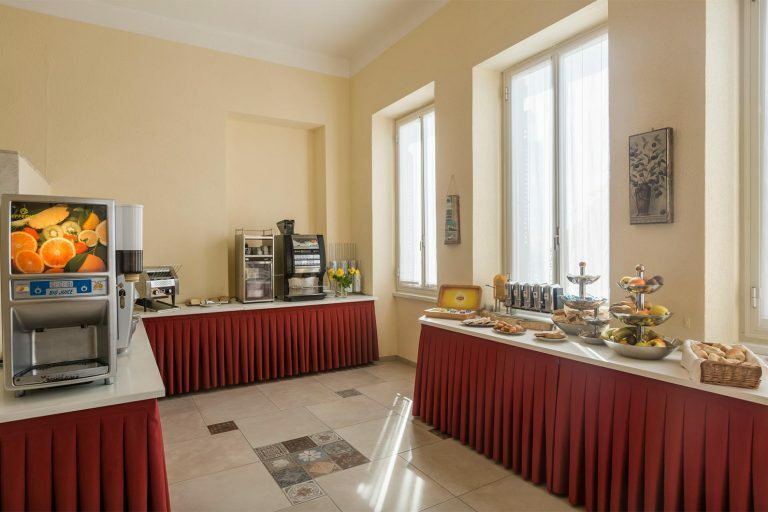 The buffet breakfast (with both sweet and savoury dishes), just like lunch and dinner, is served in the ample dining room with a sea view. The menus, inspired by the Mediterranean tradition and focusing on the products of the territory and the sea, are prepared in our own kitchens. The bar area and the shady terrace with its garden are inviting surroundings to relax with a good book or to enjoy an aperitif. The Hotel faces a sandy beach equipped with beach umbrellas, lifeguards, playing area, accessible services and hot and cold showers. 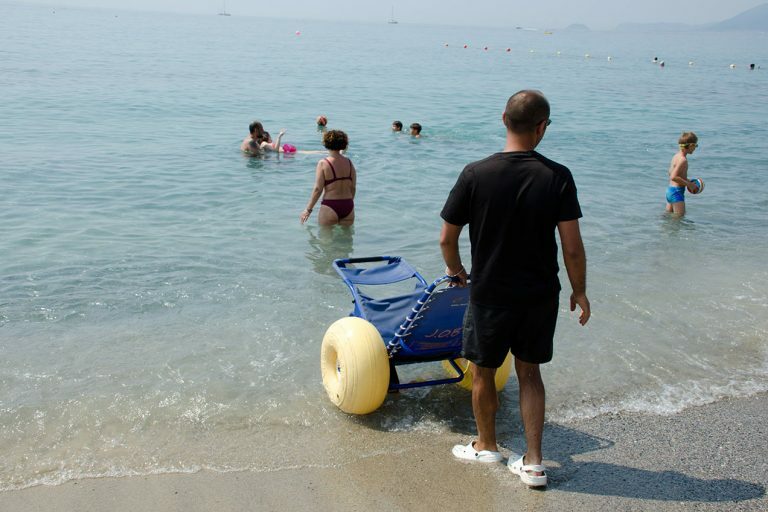 The hotel and the beach are, in part, free of architectural barriers and equipped to meet the requirements of our guests with disabilities who can make use of J.O.B. chairs to enter the water. 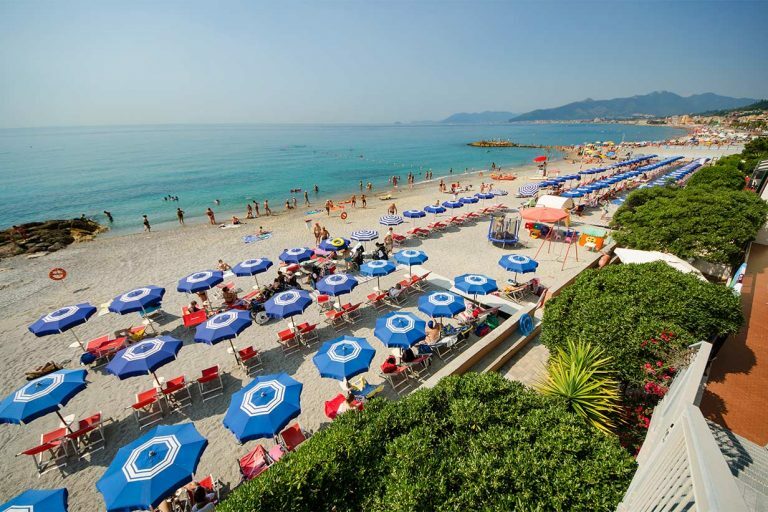 A polyglot staff is ready to serve you with assistance in organising your discovery of the Italian Riviera west of Genoa during your holiday. KEEP UP TO DATE ABOUT THE LATEST NEWS AND OFFERS, SIGN UP FOR OUR NEWSLETTER!